The Predator Reel double reed is based on our famous Elk Reel design. We added some changes to the main body of the call to allow an increase in volume and raspiness. It will go from a shrill scream of a dying rabbit to a whisper to lure those Predatory animals in close! 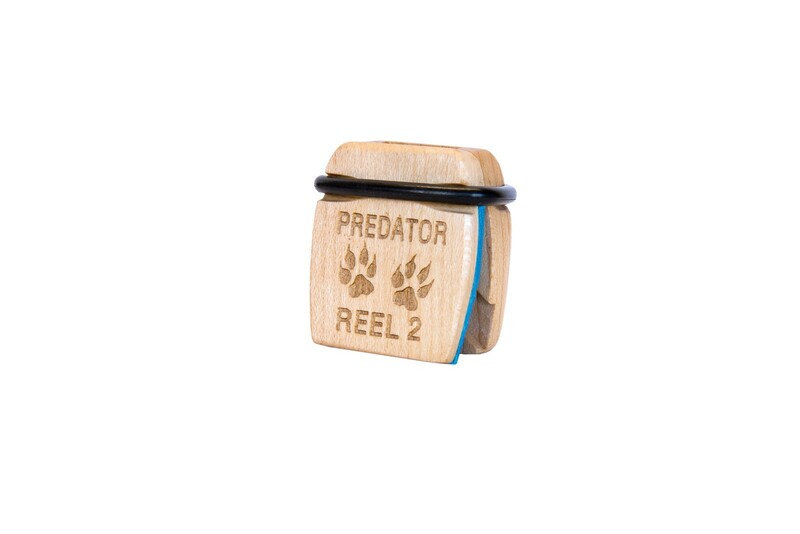 Our reeds face the opposite direction as your traditional predator distress callers and howlers allowing them to start easily with the slightest of air movement. These things are just flat out the perfect game management tool! We first shot a coyote with a reel a few years back. However it wasn’t the first one we tried it on. It became extremely apparent immediately when we first started product testing that they call in more that Elk, Deer and Turkeys. The first coyote was shot in the face at 10 yards. Anytime we’d see one we start messing with an Elk Reel to imitate a distressed rodent. The reactions were awesome, they would commit. Come in staking us. Really really fun stuff if you’re a predator guy! They would stop even if on a dead run to take a look back anytime we tried it on a spooked song dog. Hopefully a look is all you need to have one less calf and fawn killer on the property. They say better to have a gun and not need it then need it and not have it. Well we say if you’re gonna have the gun you better have a Predator Reel to go with it! Put this in your cupholder and your truck gun will always have the perfect company while out checking and feeding cattle. Nothing like a lightweight .223 and a Reel to turn a shed hunting adventure into a wildlife management field trip. Put it in your pocket when bowhunting Whitetails so you can very quickly and quietly dispose of that coyote cruising just outside bow range. A couple of Predator Reels coupled with your varmint rifle and a 12 gauge for the close work is all you’ll need to make some serious headway on your fur totals. Versatile and volume variable with ultimate playability! They will do more than distress calls too! 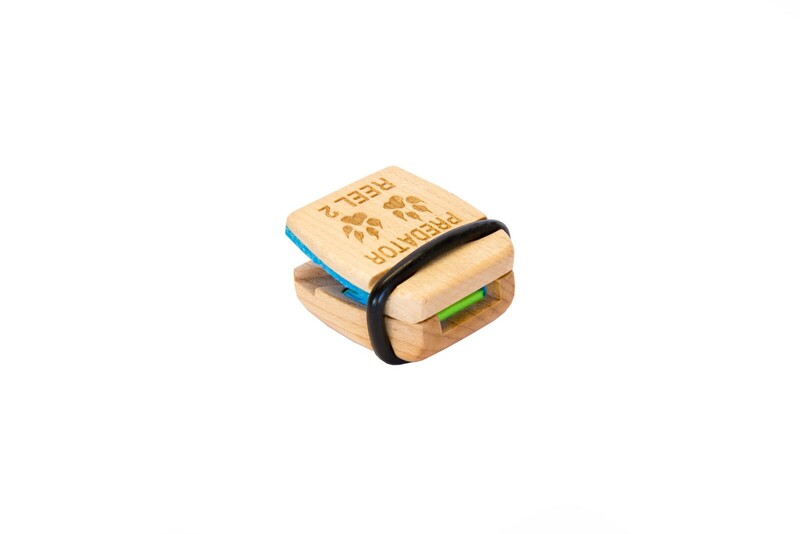 Wrap your hand around the call and hold it on a slight angle and you can howl at the dogs to really rile em up. 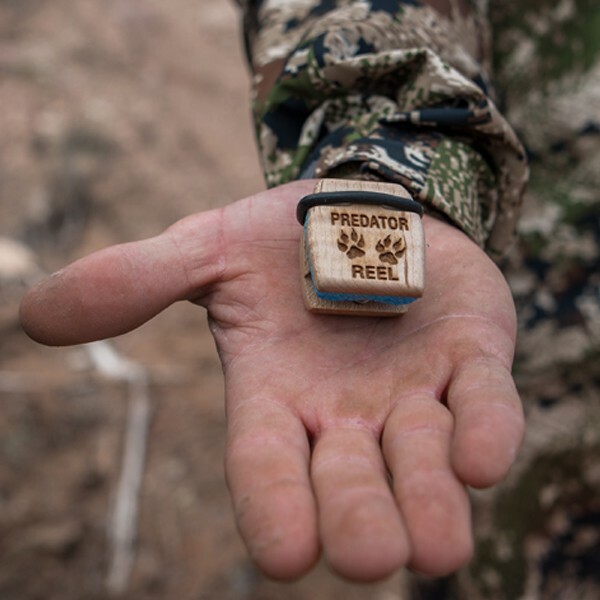 Anything you can do with an open reed predator call you can do with a reel. Without it sticking and with a wide range of volume easily attainable. The ultimate playability in a Reel tuned for the ears of toothy critters! 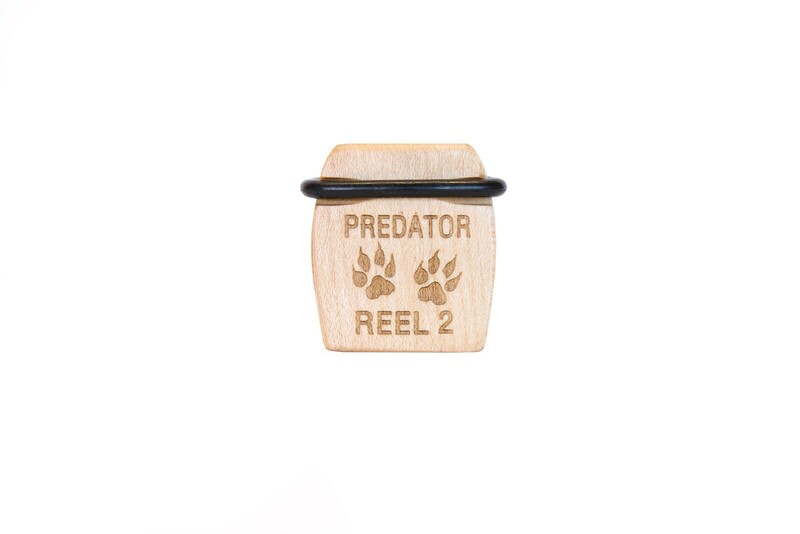 The double reed the Predator Reel has a slightly deeper tone that is perfect for howling. It really lets you rip loud stuff to reach out to distant ears. We took our Elk Call and made it have more interior volume. This allows a higher exterior volume level! It also allows the reed to have some more scratchiness to hit those raspy notes.